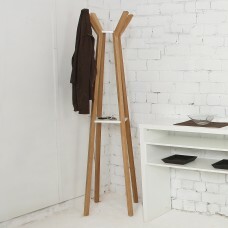 A Modern and trendy beechwood wall hook that can be mixed and matched with other wall hooks from the collection. 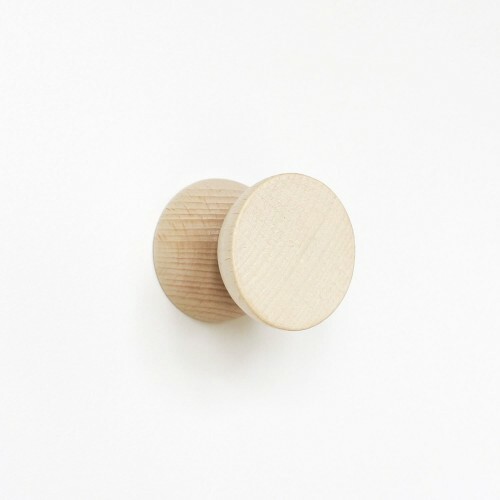 This simple solid beech wood wall hook contains 2 half round beech wood balls which create a playful effect on your wall. 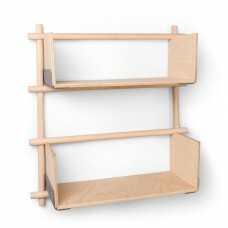 The diameter of the hook is 5cm and the hook comes 5cm from the wall. 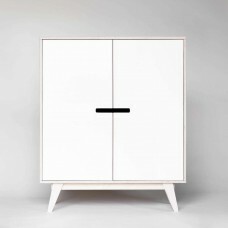 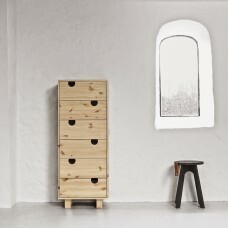 The hook can be combined with other hooks from the collection. 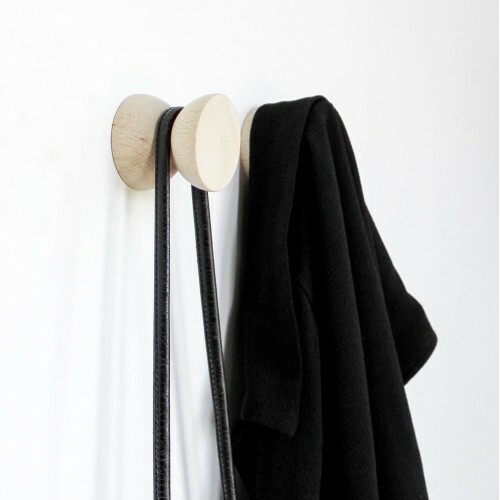 Apart from coats, this hook is also suitable for hanging a lighting cable. 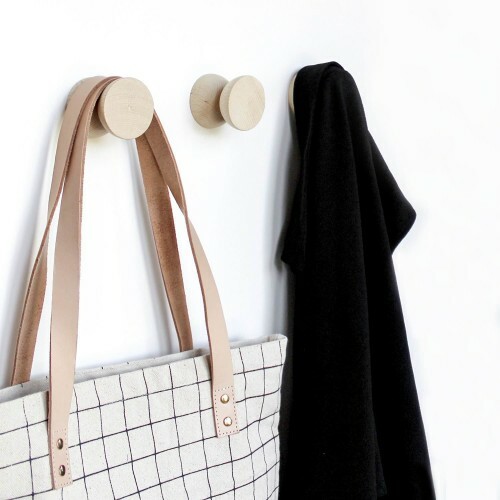 The full collection of wall hooks contains beech wooden wall hooks with a choice of different brass, copper or aluminium finishes. 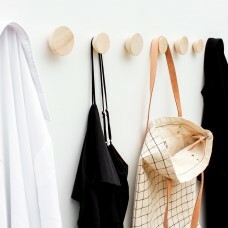 The hooks are made from half a solid beech wooden ball that can be hung from the wall with an invisible screw system. 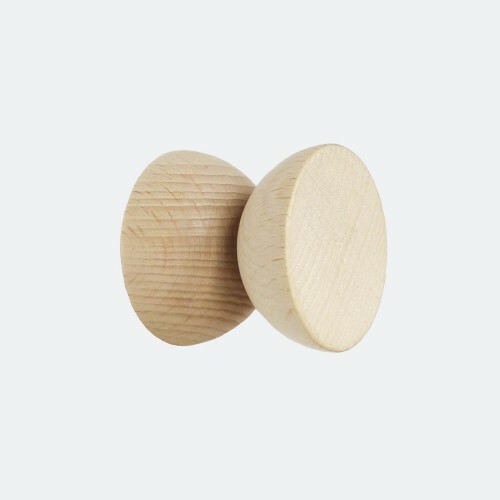 The round geometric design shape gives the hooks a modern appearance but has a warm feel due to the use of natural materials.